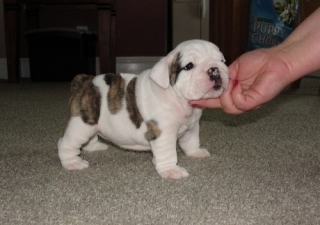 Healthy English Bulldog Puppies Available. They are vet checked,vaccinated and are up to date on all shots. They are smart,socialized and playful with kids and other home pets. They will make a perfect addition in any nice and caring home. Please contact us back if interested in adopting the puppies.